Canadian Wildlife Federation: Can you spot...the 7 types of pollinators found in Canada? 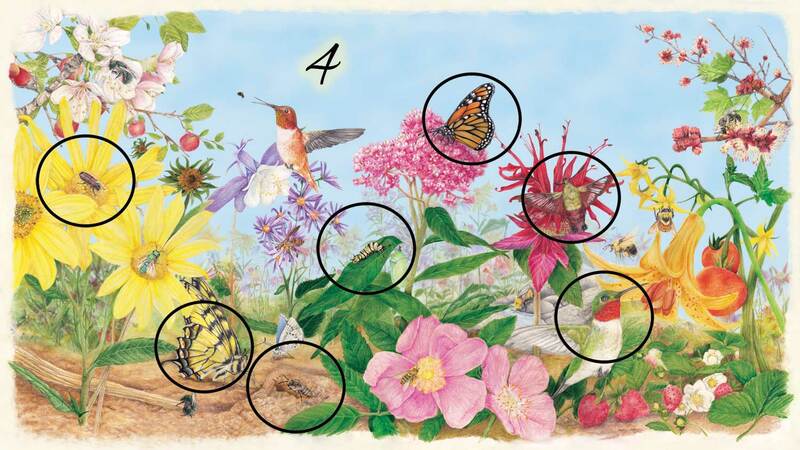 Can you spot...the 7 types of pollinators found in Canada? Home > English > Resources > ... > Interactive > can you spot the pollinator? Bees, butterflies, moths, flies, wasps, beetles and hummingbirds! Take a look at the Wild About Pollinators poster and see if you can spot the following!